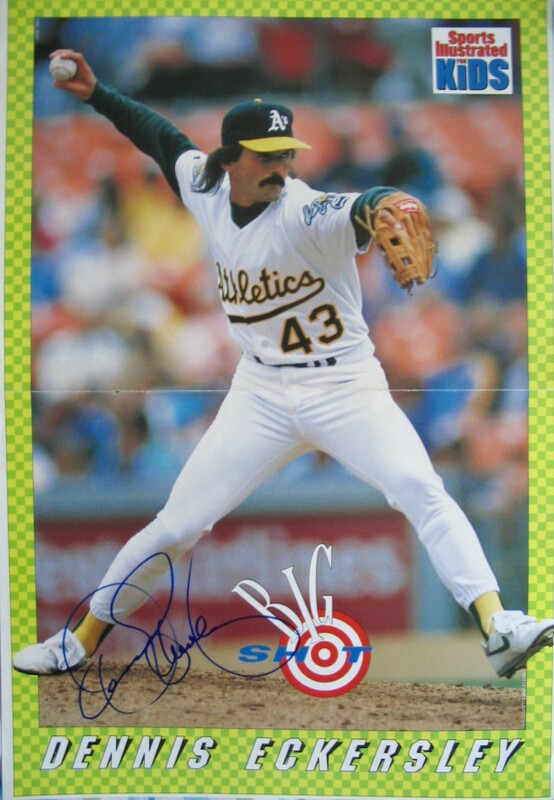 Roughly 10 by 16 inch Sports Illustrated for Kids mini poster autographed in blue marker by legendary Oakland A's Cy Young winning closer Dennis Eckersley. Obtained in person, with certificate of authenticity from AutographsForSale.com. ONLY ONE AVAILABLE FOR SALE.